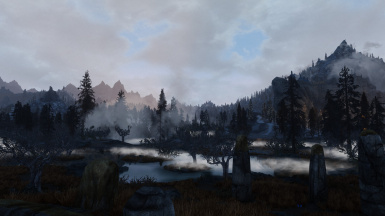 This is a mod I made for myself, that changes the way Bellyaches Dragon Species mod works. I made this as an alternative to the standard variant. If Wrig would like to have this removed please just ask. I removed all the static spawns that bellyache had placed for his new dragons, and added his variants to the standard dragon level lists. So now the dragons only show up when there is supposed to be one, such as the random encounters and dragon word walls. The dragons are added based on their own levels so they are appropriate for the players current level +/- 5 levels. 3. Advanced users: Utilize Wryebash Bashed Patch to make a patch that blends the level lists together in the event you are using other mods that add new dragons to the Leveled Lists. Should be compatible with any mods that change default dragon behavior such as Dragon Combat Overhaul or Ultimate Dragons. Any dragon mods adding dragons that are not level list based. Wrye bash can make a level list patch to work with other Level List adding mods. Wrig675 - really all the work is his, go endorse his mod. Also Image is random as there is no reason to have images for this edit.